Former Process architect, recent Broncos consultant, and present Bachelor enthusiast Sam Hinkie is seeking like-minded collaborators on a number of important projects. With a mind as lively as Hinkie’s, you never know what you’re going get, but it’ll surely come packaged in the language of High Thinkovation. One minute he might be radically envisioning a tool like “Phones need similar variable speed fast-forward for all YouTube videos,” which can currently be found on YouTube’s app. Occasionally he’ll suggest something that sounds fun and useful, like searchable and tagged basketball video. But mostly Hinkie, who self-identifies as “Reader” in his bio, is concerned with how we could read better. Or harder. Maybe stronger? Sam Hinkie may have a different relationship to reading than most. Hinkie’s relationship with a book is not unlike a CrossFitter’s relationship to steel. It seems almost adversarial. A book is something to be conquered, mastered, wrangled for self-empowerment. 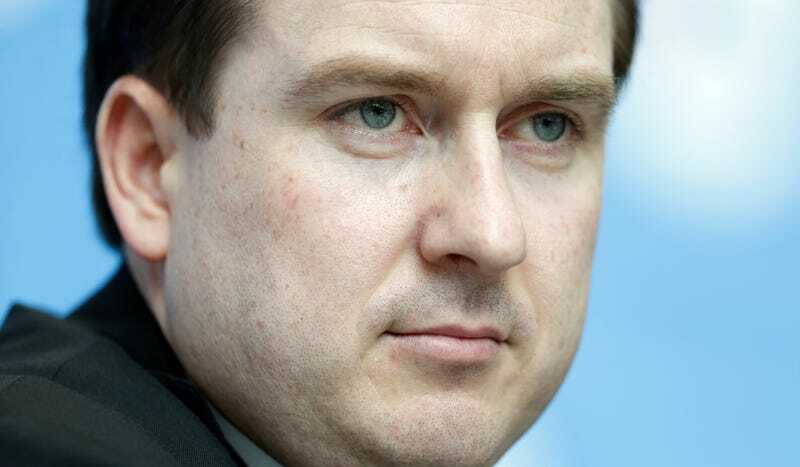 Sam Hinkie used to squat almost 500 pounds—of knowledge. Sam Hinkie will not sit or towel off or drink his protein shake until he’s slammed every last concept and key term into his red-hot brain, which is now throbbing from the exertion. Anyway, drop him a line if you want to be a part of this.